The thought of working for a company that is just kicking off might be a little scary. Working for a larger corporate company can seem much more appealing for a number of reasons. You’ve got the job security, the attractive paycheck, the spacious, luxurious office building. But what do you do once you’ve climbed the corporate ladder as high as you can and suddenly find yourself at a standstill? Where do you go from there? It’s hard to ignore the risks that surround working for a startup company. But is it really all doom and gloom? Is the grass really greener at a bigger corporation? Irish Parcels recently turned one year old, and as a relatively new business with a small, thriving team – we just happen to know a thing or two about what it’s like to work within a startup. Believe it or not, the horror stories are far from correct. In fact, working for a startup company might just be one of the most rewarding things you could do in your professional career, and there is a plethora of reasons why. 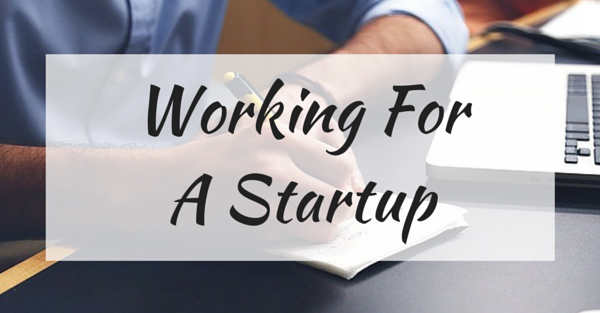 Here are 4 ways working for a startup can enhance your career. 1. Work is challenging, but recognised. There’s no secret that working for a startup is challenging. In a small, fast-growing company you’re likely to find yourself doing a little bit of everything, instead of being limited to the job role you were hired for. While it may be a stressful thought, the key thing to remember is that at a startup, it’s nearly impossible not to give credit where credit is due. When you work for a larger corporate company, the chances of your efforts being ignored by the big boss is fairly high. Yet at a startup, your team are likely to recognise your achievements instantly. However, this does mean that when you make a mistake, it will be much harder to shy away from it. Though believe it or not, that’s actually a pretty good thing. It will keep you focused and always on the ball with your tasks, because the very last thing you’ll want to do is let your team down. As mentioned before, working as part of a small team means that you’ll be no stranger to wearing multiple hats. While you may have been hired for a particular position, you’ll likely find yourself doing a little bit of everything, as will the rest of your colleagues. The endless list of opportunities that arise in a startup on a regular basis will allow you to develop your skillset in a range of areas, allowing you to become a more well-rounded professional. As cliche as it sounds, you really will find yourself learning something new every day. 3. You get the chance to shape the culture around you. When a company is only just kicking off, it is often still finding its feet in terms of identity and company culture. The employees who are there in the early stages will be the ones to shape the culture that will continue to alongside the business. When you work as part of a small team of people, it’s much easier to form bonds and connect with people on a more personal level. All of you will be working towards the same dream, and you’ll be working those demanding hours together. You’ll witness the progression of the business together, and see our combined efforts pay-off. It’s likely to create more of an informal, relaxed, yet highly driven atmosphere where you are all constantly inspiring one another. Each of your ideas will shape the company’s culture to make it an innovative, enjoyable place to work. 4. You’ll have a better chance at career progression. At larger companies, climbing the corporate ladder can be incredibly tough. You may reach a certain level, but find that your career progression is growing stagnant – and then you’re left wondering where you’re supposed to go from there. At a small startup, you’re much more likely to make progression in your career. When the time comes for an expansion, promotions are much more likely to come from within rather than externally, and if you already have a well-established role, this can be a fantastic advantage. New to Irish Parcels? Learn more about our low cost courier services! Do you need to send a parcel that is extra large or super heavy? Perhaps you just can’t make your item fit into a medium sized package, or perhaps the item itself is a large and bulky item. 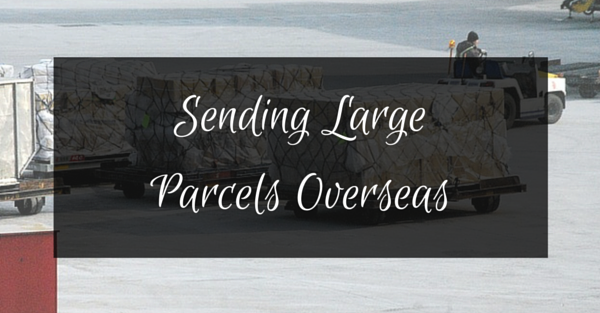 Whether you’re a small business shipping products intentionally, or an individual sending gifts to a loved on the other side of the world – there are a few things to consider when sending large parcels overseas. Thankfully, here at Irish Parcels, we’re experts at this kind of thing. We specialise in parcel deliveries throughout Ireland, the UK and to over 200+ countries worldwide. The services that we offer are particularly competitive for larger or heavier items over 5kg, so from our own experience, we’re here to lend our advice for sending large parcels overseas to ensure they arrive quickly and safely. Whether or not you can send a large or heavy item will of course depend on the courier that you choose. Many couriers will have a variation of restrictions placed on different services, so it is important to check these as not doing so could result in a fine set upon by the courier, or the item being returned back to the sender. For example, an item being shipped to Australia must be clearly masked if its weight exceeds 55kg. These kind of policies are set in place to ensure that heavier parcels can be handled safely when they arrive in the destination country. It’s important to research these regulations before sending your heavy parcel to ensure you are taking all of the necessary steps to keep your item safe as it arrives at its destination. Keep in mind that every country will also have regulations about what can and cannot be imported. Double check, even triple check that the large parcel you’re sending doesn’t contain any prohibited items to avoid any issues. Bonus tip: Don’t forget, if you are sending your large parcel outside of the EU, you will be required to complete customs documents in order to declare the contents and value of the items contained in your parcel. On these documents, you will also be required to declare the weight of the parcel, so be sure that this information is accurate. As with any item of any size, packaging your parcel securely for transit is vital. At Irish Parcels, we always urge our customers to package their items in strong, double-walled cardboard boxes – especially if it is a heavy or large item. A double-walled box is sturdy and durable, and much less likely to collapse, tear or open under pressure. If your item requires specific packaging due to its larger size or heavier weight, such as a pallet, be sure to consider this necessary step before sending it on its way. Sending your large parcel with a reputable courier service that provides online tracking is always a good idea. With full access to online tracking, you will be able to monitor the progress of your shipment as it makes its way to its destination. You will be able to keep an eye out for any red flags, and will be able to get in touch with the courier if you have any concerns. You’ll also be notified when your item is out for delivery, so you’ll know exactly when to expect it. At Irish Parcels, we offer full online parcel tracking on all of our shipments. If you have any questions or concerns about your shipment, our dedicated customer service team is always happy to help. Before selecting your courier, do your research to ensure that you’re getting the very best value for your money. It’s no surprise that shipping large and heavy items will be more costly than the average sized parcel, however taking the time to find a reputable courier means you have that extra peace of mind knowing that your items will be handled with the utmost of care, making it a worthwhile cost. At Irish Parcels, our prices are particularly competitive for large and heavy items. Get a quote from our homepage to compare prices and shipping times between a network of reliable couriers. Making use of courier comparison services is a guaranteed way to save on large, international parcel deliveries. So that’s our expert advice on sending large items overseas. If you still have any questions after reading, please get in touch with us and we’ll always be very happy to help! Hashtags are an integral part of social media – but how can small businesses use them to their advantage within their social media strategy? 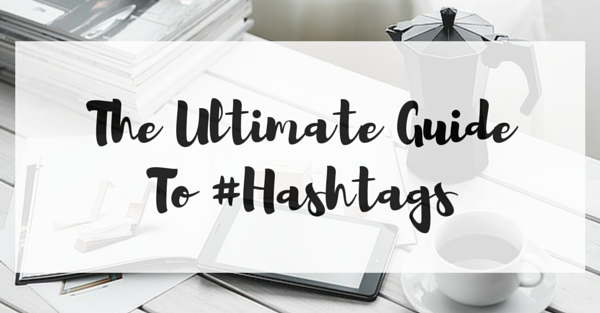 In this helpful guide, we’re going to break down exactly what hashtags are, how they differ between each social media platform, and how small businesses can use them to their advantage within their social media strategy. The use of the hashtag began with Twitter, but has since extended to numerous social media platforms. Hashtags are simply a word (keyword) or phrase which are preceded by the hash symbol (#). Using hashtags across social media platforms helps users to target specific audiences, and allows users to search for niche content that is relevant to their interests. Why should small businesses utilise hashtags? Social media is constantly growing and for small businesses, it is absolutely vital that they make use of this large audience market in order to grow their brand. Using a hashtag on social media is an extremely useful tool in growing your audience, as a hashtag will immediately expand the reach of your tweet to anyone who is interested in that hashtag phrase or keyword. To effectively implement the use of hashtags into your small business’ social media strategy, it’s highly important to understand their effectiveness across different social media platforms. Each platform uses them differently, and understanding this is key. For example, Tweets with 1 or 2 hashtags have higher engagement than those with 3 or more hashtags. Using too many hashtags devalues the strength of the hashtag and makes each additional one more meaningless than the last, so it’s important not to over do it. With Instagram, it’s entirely different. Instagram posts with 11 or more hashtags are proven to have the highest interactions, as these are likely to reach a much wider audience without devaluing each other. Many Instagram users use lots of hashtags on their posts to build a community. For example, beauty bloggers will use hashtags such as #bbloggers to search and discover similar content within their niche. Yet with Facebook, many users find that posts without a hashtag actually fare better than those with a hashtag. Understanding how each platform uses hashtags will allow you to plan your social media campaigns more effectively to garner the best results. Creating a catchy and memorable brand hashtag is a valuable (and fun) way to boost brand awareness. A good brand hashtag will be unique and relevant to your brand and/or campaign. Using a generic word or phrase should be avoided, as it will not be distinctive and will be much harder to track across social media. Jimmy’s Iced Coffee frequently use the hashtag #KYCU, an abbreviation for ‘Keep Your Chin Up’ which is their brand slogan, included on their product packaging. With this simple hashtag, they are able to monitor brand awareness across their social media channels and engage with their customers on a deeper level. It’s also just a really nice message, too! Not only are hashtags hugely powerful online, but they can work well when placed outside of the Internet, too. Jimmy’s Iced Coffee place their hashtag in advertisements and even on their exclusive clothing range, which prompts hashtag use amongst their customer base online. Although not every small business will have such an advertising budget, a similar idea can be executed on a smaller scale through flyers, posters and more. Ultimately, hashtags are a great way to increase your small business’ exposure across social media and are easy to implement into your social media strategy. Embrace their power, but don’t go crazy. Avoid simple mistakes such as breaking a hashtag with a symbol or spacing, and ensure that when capitalization is removed the words in the hashtag do not create other words or messages. If a hashtag can be misread, it will be! Choose the most relevant and effective hashtags for your brand and consumer base, and you’ll soon see a boost in your brand awareness. We’ve rounded up some of our favourite names in the Irish beauty biz that we simply cannot get enough of – and trust us on this one, there some deadly ones to choose from. From makeup products, to makeup brushes, to enriching skincare, and the best tanning products in the industry – any beauty lover would be satisfied with this astounding array. 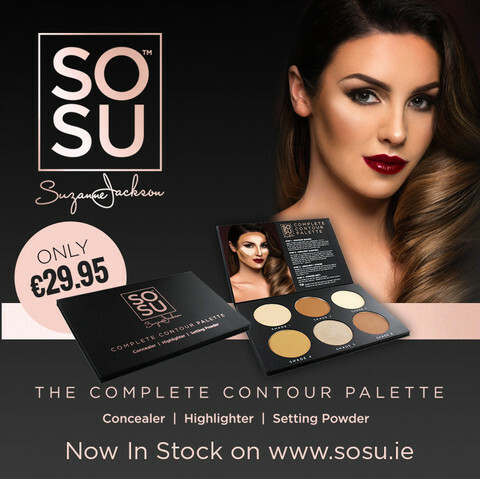 SOSU is a new beauty brand founded by leading Irish fashion and beauty blogger, Suzanne Jackson. From nail polishes, to lashes, to make-up application products and more – Suzanne’s impressive range offers affordable, yet super high quality products. SOSU’s complete contour palette is amongst the highest in demand of all of the products available, and offers everything you need to create the perfect contour. 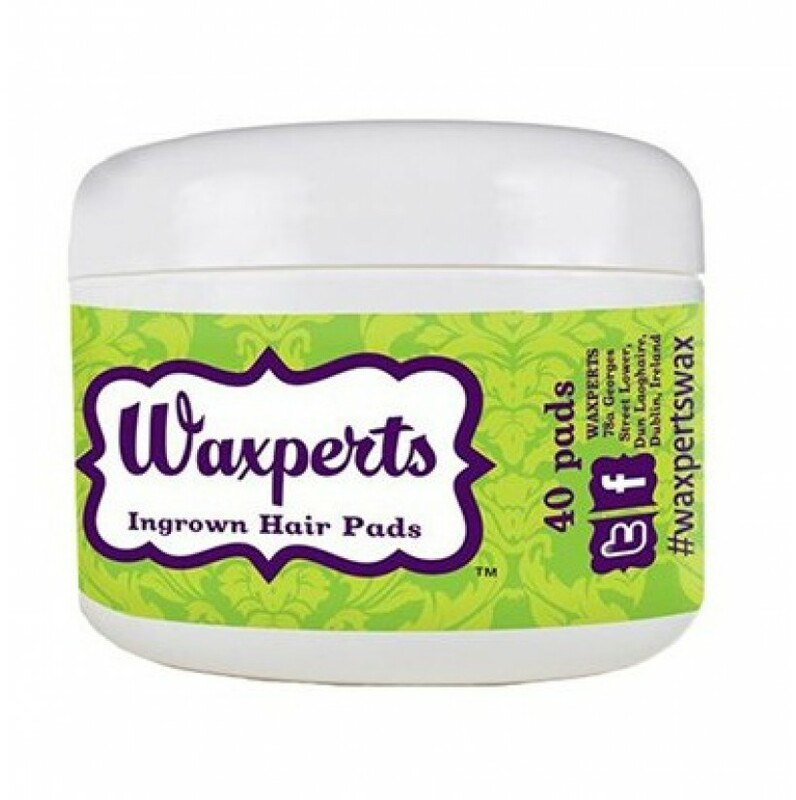 Waxperts Wax is a wax range made by a therapist, for therapists. Waxperts started its journey as a waxing-only salon in Dun Laoghaire, Dublin, Ireland. After trying every wax brand on the market, founders Ellen Jones and Trish O’Brien decided to formulate a wax range for Waxperts to use in the own salon, which promised a much less painful and much more comfortable experience for their clients. Made with sensitive skin types in mind, anyone would be thankful for a Waxperts waxing experience. Otherwise known as “the most talked about tan in town”, Cocoa Brown is the number one selling tanning range taking Ireland, the UK and the entire world by storm, after a certain Kylie Jenner posted about her love for the brand on social media. The tanning range was launched in November 2012 by founder Marissa Carter. The 1 Hour Tan Mousse is by far the best selling product from the range, gaining cult beauty status, receiving hundreds of rave reviews and winning numerous industry awards. With three shades to choose from and a super affordable price tag, you just can’t go wrong. 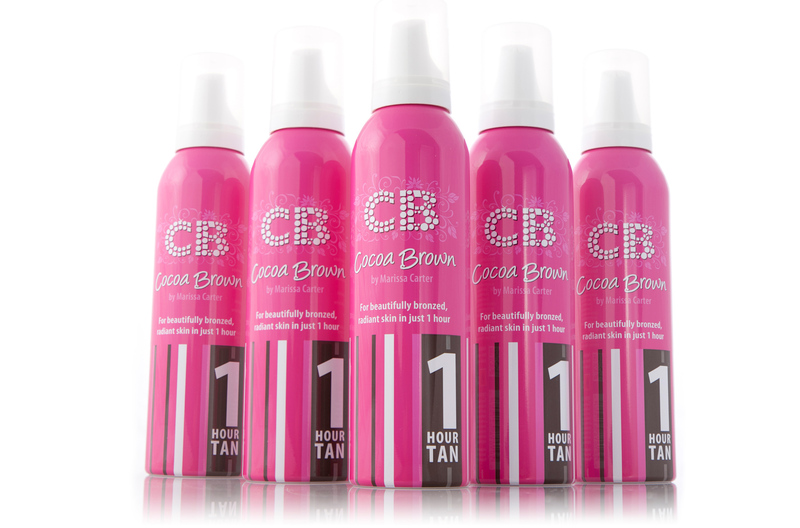 And now, excitingly, Cocoa Brown is branching out to build a beauty empire adding a range of new products to its name. Alongside its tan and golden goddess oil, in June, CB MD Marissa Carter announced the launch of the new Cocoa Brown ‘Kind’ range, comprising of shampoo, conditioner, bodywash and self tanning wipes. Another fabulous tanning brand comes in the form of Bellamianta, a new and exciting brand which is based and manufactured in Ireland. With over 20 years’ experience in the beauty industry, Bellamianta has had the inspiration and knowledge to create a truly unique set of products to tan and pamper the skin. 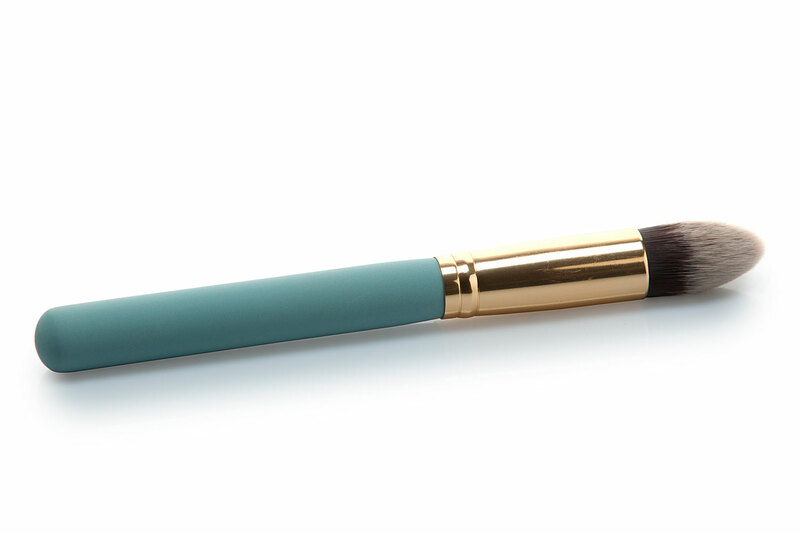 NIMA Brush is an Irish professional makeup brush company that specialises in professional makeup tools and accessories. After over a decade and a half working as a professional within the Irish and UK beauty industry, NIMA brush was established by Irish makeup artist, Niamh Martin. NIMA Brush strives to provide fun, professional grade tools at a low cost. Another makeup brush brand comes in the form of Blank Canvas, who offer pro-quality brushes without the professional price tag. Stocking up your brush kit never seemed so affordable. 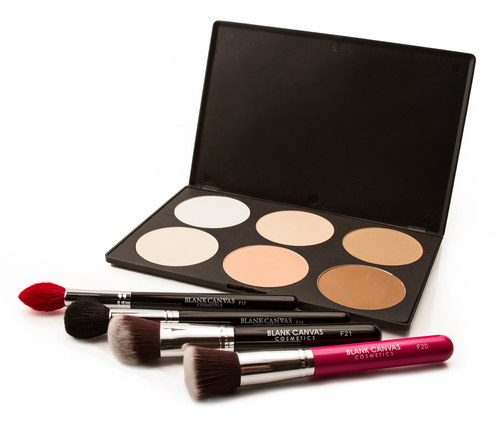 Not only do Blank Canvas offer brushes, but they also include amazing face and eye palettes in their range – including the mega selling Pippa Palette, all at a pleasant low cost. What more could a beauty lover ask for? 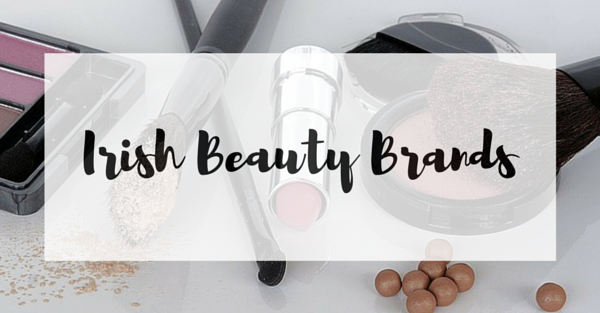 Another relatively new and exciting brand of cosmetics, PUSH makeup is one to watch. With an impressive range of products on offer, from eyes, to lips, to face, to brows – any beauty lover would be happy to sink their teeth into this brand. A now global business, VOYA started out as the family-run seaweed baths established by Neil Walton, near his home in County Sligo. As the popularity of the baths grew, the family were then inspired to set about developing a full range of seaweed-based organic products. If your skin needs a wake up, VOYA products are for you. Founded by Joanna Reilly, Kinvara Skincare is an organic skincare brand based in Galway, Ireland. The hydrating Rosehip Face Serum is by far one of their best-selling products, and rightly so. Driven by the scientific innovation to harness and distill the power of plants, seaweeds, vitamins and minerals, Kinvara Skincare strives to give you the peace of mind knowing you’ve got a quality product you can trust. 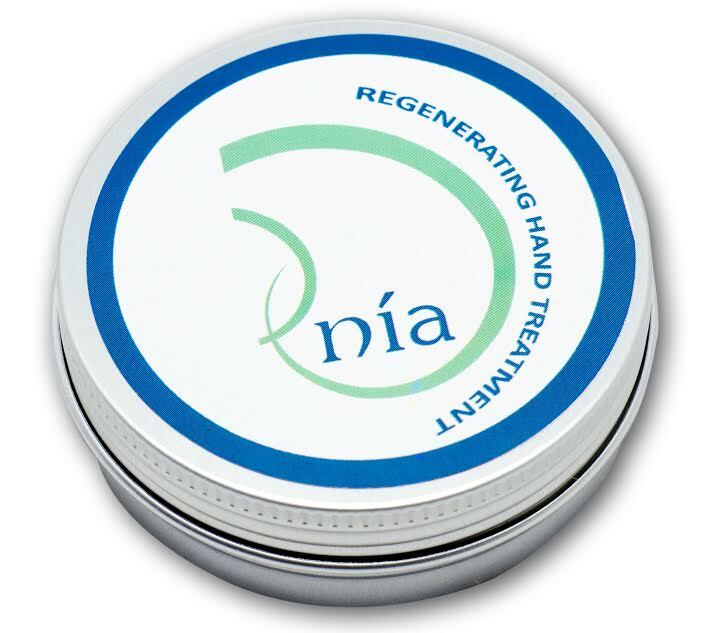 With over 30 years experience in the beauty industry, Nía founder Celia O’Grady was inspired to start formulating her own beauty products, made using natural, healthy butters and oils. Celia strives to inspire as many as possible to use natural, healthier alternatives when it comes to beauty care. All Nía products are carefully researched for their beneficial properties. Green Angel are an Irish skincare company founded by Chris and Mary Mitchell who are both passionate about natural skincare oils and creams. With gorgeous packaging, a product packed full of enriching ingredients and an affordable price tag, you can’t say no to this amazing skincare brand. 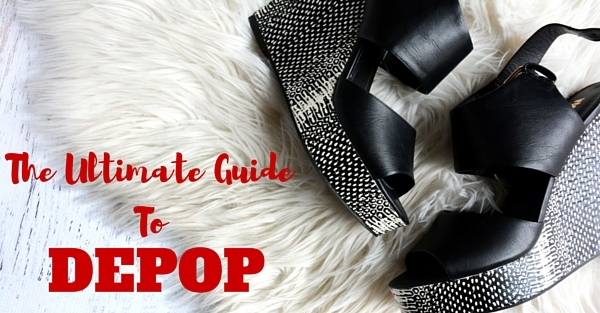 If you have a wardrobe jam-packed full of items gathering dust, Depop is a great way to clear some clothing space and make some cash in the process. For those unfamiliar with the Depop phenomenon, it’s a hugely popular mobile app marketplace, used by millions of people to buy and sell clothing. Depop is at the forefront of a new wave of online shopping, with its Instagram-esque interface and eBay like experience. Provided you have a great item for sale, anyone can make a profit on Depop and we’ve created this handy guide to making money on the platform. As Depop has a very visually similar interface to Instagram, your images are extremely important. Your picture is essentially your sales pitch so it needs to be perfect. You can add up to four images per item, so try to offer good quality, high resolution images of your item in natural daylight and from as many different angles as possible. With clothing, it’s always great to get a model shot of you, or someone else wearing the garment to show how it fits, as clothing can often look vastly different on the rail. Make sure you use your own image – it’s prohibited to copy catalogue or website pictures of items and if you’re found to be doing so, you could be banned from the site. When describing your item, keep it brief whilst being as informative and accurate as possible. Enter the mind of the buyer and think about all the essential information you would need prior to purchasing, for example, the size, the material, the quality of the item and any issues with the garment. Include shipping details and let buyers know if you accept exchanges or refunds. Be competitive your pricing. Research the marketplace to see the price points of similar items and examine who your target audience is to determine an appropriate budget. For example, if you are selling items that appeal to 18 year old girls, it’s unlikely that they will have a huge amount of disposable income to splurge on items. Always accept in-app instant payment by connecting your PayPal account, as this gives you extra protection and also makes you more likely to feature on the app’s prominent ‘Explore’ page, which will drive more visits to your products. Being interactive on Depop and providing a good experience for the buyer is key to establishing a great reputation, increasing your followers and therefore your sales. Try to reply to all comments and messages and ship items as quickly as possible to keep your customers happy and make them more likely to repurchase. Add a couple of hashtags to your product to make it more visable in searches. Be selective with your hashtags and only use a couple, as spammy hashtags will lead to your items being hidden. A great tip for improving customer experience is to provide a personal note to the buyer. You can also ask customers to leave you a rating which can help increase your sales. Check the profile of your buyer to see their ratings and comments to flag any potential issues. And be sure to take payment before shipping. Think of Depop as your own little store and use your social media profiles as marketing channels to let people know about the items you have for sale. You can also provide exclusive discounts to your followers on each channel as an added incentive to buy. Of course, here at Irish Parcels, we’re all about the shipping and have some great tips for sending items with Depop. The main point to note with shipping on Depop is that the site does not offer shipping labels so all sellers are responsible for packing their items and shipping them. Firstly, ensure that your shipping is priced reasonably, but is still high enough so that you don’t end up out of pocket. If you use Irish Parcels, you can get a quick, no obligation quote on our homepage, which you can check before listing your item. Always use a reputable courier company and provide your customer with shipping information and tracking details so they know when to expect their item. Only ever send to the delivery address listed in your buyer’s profile. If you send to another address it will not be covered by the Seller Protection. Keep your proof of postage. With Irish Parcels, we will send you a confirmation email once you’ve booked your delivery, which you can forward to your customer. And finally, if you can, offer international/worldwide shipping as this can significantly increase your views. 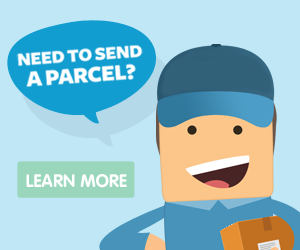 If you have any questions about parcel deliveries, get in touch and we’ll be happy to help! We, at IrishParcels.ie, like to think we know pretty much everything there is to know about sending a parcel. But there’s one part of the process that even we can not get our heads around. If you’ve ever sent a parcel abroad, outside the EU, you’ll know how confusing customs regulations can be and how much of a nightmare it is to complete those dreaded customs documents. There are so many rules that vary from country to country, some making absolutely no sense whatsoever. We’ve come across a few particularly peculiar customs regulations during our time, so we thought we’d share some of the strangest few with you. Apparently, you can not send a pair of matching shoes to Mexico, South Africa or India. This is in an attempt to control each country’s own shoe market and applies mostly to shoe manufacturers. Matching personal shoes are fine, so don’t worry about having to walk around in odd flip flops on your next holiday to those parts of the planet. Not only are you forbidden to send chewing gum to Singapore, but you can’t even buy it or consume it. This is down to a 1992 ban to promote civic cleanliness and anyone caught with this contraband could face a fine. Algeria bans the import of toothpaste and all dental products. This is likely due to the inclusion of fluoride in these products which is seen to be toxic and poisonous by many nations. You are not allowed to bring back more than one pint of Holy Water to Fiji after a pilgrimage. If you want to bring more than this amount, you will require a certificate to say that it is disease free. If you’re considering sending a wheelbarrow to Nigeria, we hate to break it to you, but they are strictly forbidden in the country in order to strengthen Nigeria’s own manufacturing industry. Loud items such as car horns have been banned from entering Saudi Arabia, due to the country’s many noise restrictions. The Kinder Egg is banned in America due to the yellow plastic piece in the centre being considered a choking hazard. A few years ago, the American Federal Government fined a Canadian family $12,000 for trying to take ten Kinder eggs into the US. This rule is no yolk (pahahaha… sorry…). Sorry lovers, but for some reason, Malawian authorities have forbidden the entry of all aphrodisiacs into the country. Due to a wave of panic, caused by pranksters in clown costumes in the southern French village of Venargues, these kinds of outfits are now banned. These incidents have lead to a wide-spread anti-clown vigilante movement across the whole of France, which may soon see the costumes banned through the entire country. Eyeglasses and foreign spectacles can not be imported into Uruguay. Safety is a top priority when sending a parcel. “Damage”, “delayed” or “lost” are words that no one wants to hear. When you hand that package over to the delivery driver, you need to know that it will arrive at its destination in perfect condition. 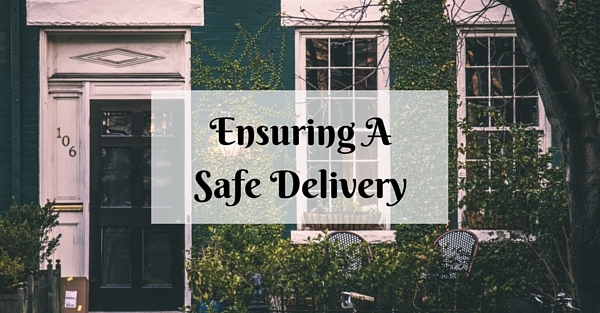 If you choose a reputable courier (see our list of couriers), your parcel is more likely to arrive safe and sound, but there are a few extra steps you can take to ensure your package is delivered unscathed. When you send a parcel by courier, it’s important to consider all the stages of transit it will go through. For example, it will be sorted using a machine and transported in a vehicle alongside tens or hundreds of other items of all shapes and sizes. Best practice is to pack your item in a strong, double-walled cardboard box with bubble wrap and packaging peanuts. Good packaging will significantly reduce the likelihood of your parcel collapsing under pressure or tearing. You can read more of our packaging advice in our blog post: 8 Mistakes To Avoid When Packaging Your Parcel. Before booking with a courier, always check that your parcel contents can be sent on the service. This is of particular importance if you’re shipping an item overseas, as countries (especially outside the EU) have their own customs rules and regulations. In addition to checking the country’s own rules, be sure to read the courier’s list of prohibited items. If you were to send a prohibited item, your shipment may be delayed, refused or sent back and you will be unlikely to receive any compensation. You can take a look at IrishParcels.ie’s prohibited and non compensation list here. Speaking of customs… when you are sending an item outside the EU, you will need to complete customs documents and attach them to your item. (At Irish Parcels, we will send you these forms to complete after booking.) In these forms, you declare the content and value of the items you are sending. Although your courier provider may be able to give you advice with regards to these forms, it is always the customer’s own responsibility and failure to do so could again result in delays, refused delivery or a big unpleasant bill for customs charges. Always book with a courier that provides online tracking information. Again this of most importance when shipping overseas. As couriers collect and deliver thousands of parcels every single day, they are unable to monitor each item individually. With online tracking, you can follow your shipment every step of the way and alert the courier if you notice any issues. Online tracking will also notify you when your item is out for delivery, so you’ll know when to expect its arrival. If you are sure that your items are safe to send – in terms of contents and packaging, always take out compensation cover. 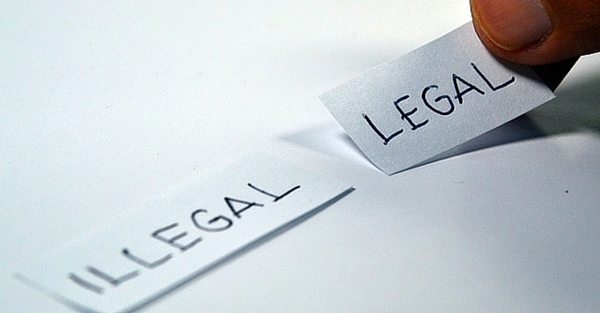 This means that in the event of damage, loss or long delays, you may be entitled to some money back. At Irish Parcels, we offer €50 free compensation cover per item, which you can increase up to the value of €1,000 during booking, for a small additional fee, if you need to do so. This sounds obvious, but when sending a parcel, make sure the address details you enter are completely correct. Typos are easy mistakes to make and incorrect address details are the cause of most issues with couriers. Even just the slightest typo or formatting error can cause your item to be delayed or returned to sender. This applies mostly to international addresses which are most often formatted completely differently to Irish addresses. If you’re unsure, we always recommend Googling the address you are sending to or double checking with the recipient. Once you’re absolutely 100% sure that the addresses are correct, you’ll need to print out your labels and attach them to your parcel. Again, this sounds straightforward, but when labels are not securely fastened, they can become easily removed from the package and cause your delivery to be significantly delayed or even lost. We recommend putting your labels inside a plastic wallet or polypocket and securing them with parcel packaging (brown) tape. And finally, the best way to ensure your parcel is delivered safely, is to use a reputable courier. For example, at Irish Parcels, we use TNT, GLS and DPD to carry out our deliveries. They are trusted names that most people and businesses are familiar with, because they have a longstanding reputation for quality service within the courier industry. Do not use a courier that does not have a website, a contact number or a customer support team. 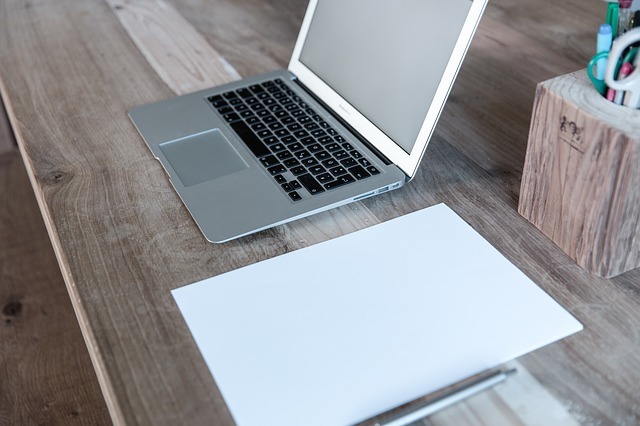 Do you want to write for the Irish Parcels blog? Irish Parcels is a Dublin based online courier service which helps individuals and businesses save time and money on their parcel deliveries. On our blog we create regular content for Irish people and small business owners on a wide range of topics including; shipping, couriers. Irish business, marketing tips and social media. We also accept high quality guest contributions. If you have some content, which you believe, would benefit our audience, then please get in touch (details below). If you would like to submit a guest post to the Irish Parcels blog, it must be original. It must be your own work and it must not be published on any other websites. Some examples on other sites include: what to bring to college and moving abroad with family. We will only publish content which adds value to our readers. It doesn’t matter whether your post is funny, educational, inspiring or informative – if we think our audience will want to read it, we’ll be happy to publish it. Please try to keep your post over 800 words. Feel free to be creative with your format. ‘How Tos’ and ‘listicles’ always work well, but if you have any other ideas, we’ll be happy to take a look. We do not accept promotional posts or opinion based/personal posts. Do not include any outbound links in your post unless they add value to the reader. We will be happy to give you a link to your website or social media profiles (or both) in your author bio. Please only send images if they are free to use. If you don’t have your own images, that’s no problem – we can source them for you. If you want to see how cheap Irish Parcels is, get a quick quote from us any time! There is a lot to consider when shipping a parcel to the United States. Although it may seem like quite a daunting process, shipping a parcel to the USA can be surprisingly easy once you’ve done the appropriate research. That being said, there are a few common mistakes that can make the entire process a headache. When considering everything carefully, these mistakes are easy to spot and even easier to prevent in the future. At Irish Parcels, we know a thing or two about shipping parcels all across the globe. We’re here to shed a light on 4 of the most common shipping mistakes that can be made when shipping items to America, and sharing our advice on how to avoid them. 1. Not packaging items securely. Although we all like to imagine that our parcels are carefully handed from A to B during the shipping process, it’s unfortunately not entirely realistic. It’s important to consider the numerous stages of transit that your item will go through before it reaches its destination. It will travel through a courier network alongside dozens of big and small items, and will be sorted by machines before being put on a van for delivery. Not packaging items securely is a common mistake that can be easily avoided. At Irish Parcels, we always recommend that our customers send their items in strong, double-walled cardboard boxes – especially if the item is heavier than 5kg. For added protection, consider having good internal packaging such as bubble wrap or polystyrene to keep the contents cushioned. Damage to contents during transit can be quite a rare occurrence, however it most often occurs when items are not securely packaged. 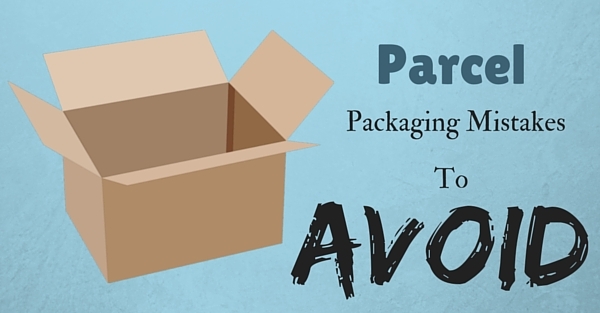 You can read even more advice on how to properly package a parcel here. One of the most important things to do when shipping a parcel to the United States of America is filling in legally required customs documents. Customs plays a huge part in all shipments going in and out of America, therefore it is absolutely vital to adhere to these strict regulations. Not including a customs invoice with your parcel to the US can cause issues with the shipment and may severely delay the delivery. You will need to accurately fill in a customs invoice for your shipment (the only exception to this is if you are transporting documents). They will inform the customs authorities of what you are shipping, the value of each item, as well as the reason you are sending the item. The invoice will determine how much tax and duties you will need to pay, if at all. It’s so important to remember that customs tax is imposed at point of entry into the USA, so any charges cannot be included in any courier quotes. When you book your shipment to America with Irish Parcels, you can easily generate customs documents to fill in, print, sign and attach to your parcel. 3. Not carefully considering transit times. When shipping to a location such as the US, we always recommend shipping your items a few days in advance, just in case there is a delay during customs clearance. Courier transit times will never take customs delays into consideration when giving you a quote. So if the items you are sending are in any way time-sensitive, it’s always best to ship them as early as possible to avoid disappointment. 4. Not paying attention to restricted and prohibited items. Every country in the world has its own country-specific restrictions and regulations for imports, and the USA is no exception to this. America has a list of prohibitions and restrictions on what can and cannot be imported, so it is highly important to read through these lists before booking a shipment to avoid additional charges or delays. 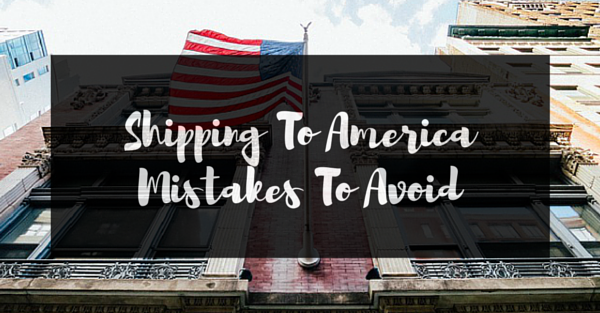 Avoiding these mistakes will ensure that your parcel shipment to the USA is easy. Thank you for reading, and if you have any questions about sending with Irish Parcels, get in touch or find out more below! When sending a parcel, it’s the courier’s job to get your delivery to its destination safely, on time and with no damage. We all like to imagine that when we send a parcel with a courier, the item is carried very carefully by hand from point A to point B. Unfortunately, this isn’t exactly the case; as your parcel will be sorted by a machine before being placed in a van alongside tens or hundreds of other deliveries. If you use a reputable courier (see our couriers), then the risk of any damage or issues will be absolutely minimal. That said, it’s not impossible. Rough terrain may cause items to be dislodged in transit, or items may move, knock against each other or even fall. It’s rare but it can happen. So, to ensure that your parcel can withstand any potential rough and tumble, it needs to be packaged carefully and to help you make sure that you’ve taken all the necessary steps and precautions, we thought we’d put together our top packaging tips. When it comes to sending parcel, we always recommend that our customers send their items in strong, double-walled cardboard boxes – especially if the item is heavier than 5kg. Crisp boxes are not recommended as they can not hold weights of more than a few kg and the walls of the cardboard are not strong enough to protect against knocks. We also advise against plastic boxes. Although plastic seems like a sturdy material, it is prone to break, shatter and split. Even if your own parcel contents aren’t heavy, something large may be placed on top of your item in transit and break the plastic. It is possible to send items in strong suitcases. However, we recommend taping down any handles or wheels so that they don’t become damaged. Once you’ve chosen a box or case to send your item in, make sure its contents are secure by using bubble wrap, polystyrene and/or packing peanuts. Items are most often damaged when they are not securely wrapped. Springy materials like bubble wrap and polystyrene are great and will helpfully defend the contents of your parcel if it happens to be knocked or handled roughly. If you send a large volume of parcels, you can buy these packing items in bulk on the likes of Amazon or eBay. People often believe that newspaper is a good substitute for bubble wrap or polystyrene but this simply isn’t true as newspaper has no spring and just flattens when placed under pressure. On the flip side, over packing your item can also cause damage. To avoid this, we recommend wrapping your item in bubble wrap and then leaving about an inch of space between the item and the walls of the box. This creates a ‘cushioning gap’ which will protect your item against the vibrations of the van or vehicle which, if packed too tightly, can penetrate through your packaging and shatter fragile items. Tip: For extra protection, line the walls of your cardboard box with a layer of bubble wrap. Putting a ‘fragile’ sticker on your box won’t mean that your parcel is treated more carefully that others. However, it may remind the driver to be extra cautious when lifting your parcel in and out of the van. Tape down all the sides of your box with good quality packaging tape – general sellotape will not work as well as nylon or vinyl tape. If your item is particularly fragile or if you have any concerns about how it will fare in transit, a great method of adding extra protection is to double-box your item. This involves placing your item inside a box, which is then placed inside another box with a filled-gap between the two boxes. In order for this to be effective, the gap MUST be filled with something like bubble wrap to create a strong enough barrier. If your box has been used before for a delivery, ensure that all previous labels, barcodes or address details are removed. If not, your item could be missorted, sent to the wrong address or delayed. When attaching your new labels, be sure that all information is visible. We recommend putting your labels inside poly pockets or plastic wallets and taping these to the box. And finally, if possible, try to include a return address on your parcel just in case your item has to be sent back for any reason. Thanks for reading and if you have any questions about packaging, get in touch! Irish Parcels Mailing List: Thank you!